I always had a fondness for homemade bread like this Hummus Homemade Bread. 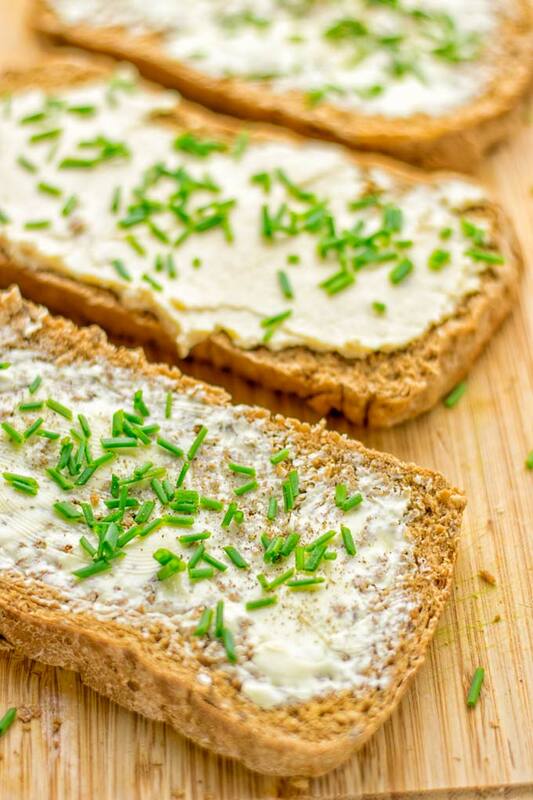 If you’re looking for more bread recipes you came to the right place. Use the search bar type “bread” and enjoy. What’s not to love about fresh bread? It is easy to make, one of those cheap healthy meals that are so much more budget friendly than in the store. 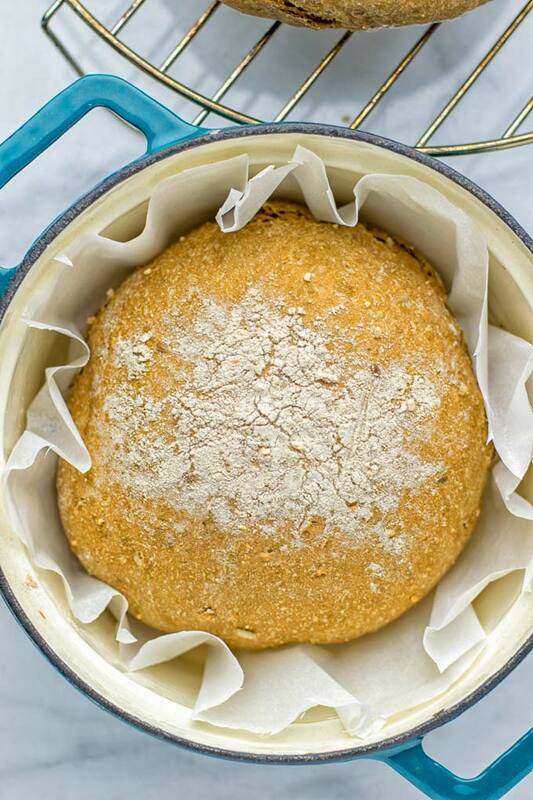 Plus you only need one bread flour for this yeast bread. But we can all agree whenever it comes to gluten free bread we need a lot of different gluten free flours. 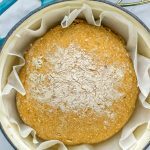 I keep it really simple, I recommend buckwheat flour as this way it comes really close to any whole grain bread. 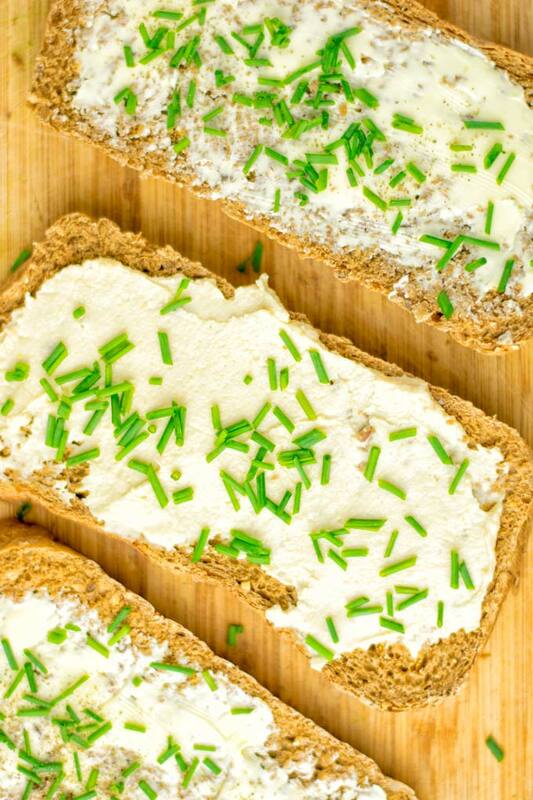 If you don’t consider to make a gluten free bread, any flour will work. However do not use chickpea or coconut flour. Both won’t work for the texture and taste. But everything is fine to make a whole grain bread. I promise you will be really glad about your results. Just think of the smell that will come from the kitchen, yum. It’s like from a fresh bakery, but homemade all by yourself, versatile, put on vegan butter, hummus and all those delicious bread spreads that are so kids friendly and perfect for family dinner ideas. You will need a Dutch oven. I used my small 1.5 quart (7 inch) Dutch oven for this Artisan Bread. You can use a bigger one that’s totally up to you but you will need to adjust the ingredients so that the quantities will match. Of course, I also recommend to bake it a bit longer. If you never heard about a Dutch oven it’s a pretty heavy pot which is robust and will last long. You can make nearly everything in that from breads to casseroles, stews and so much more. They’re also almost heat resistant which means you can bake at high temperatures if you like. 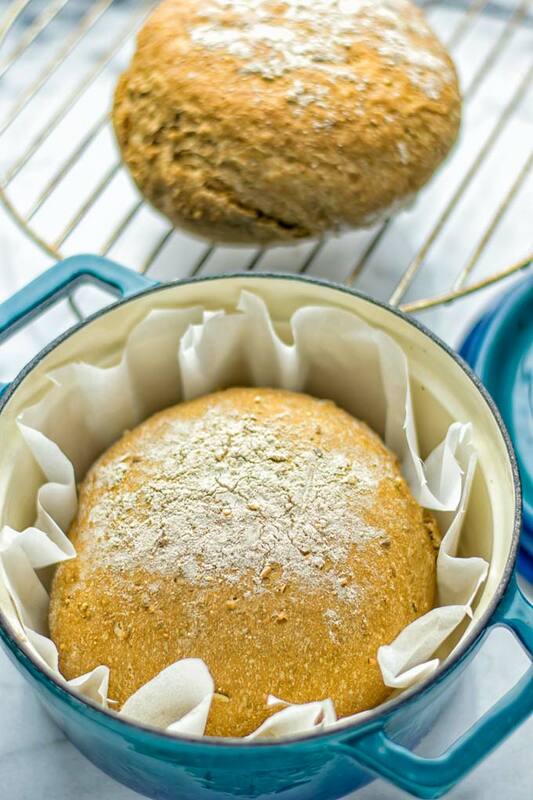 Whenever it comes to making a Dutch oven bread you can make it with parchment paper or sprinkle a bit of cornmeal on the bottom. 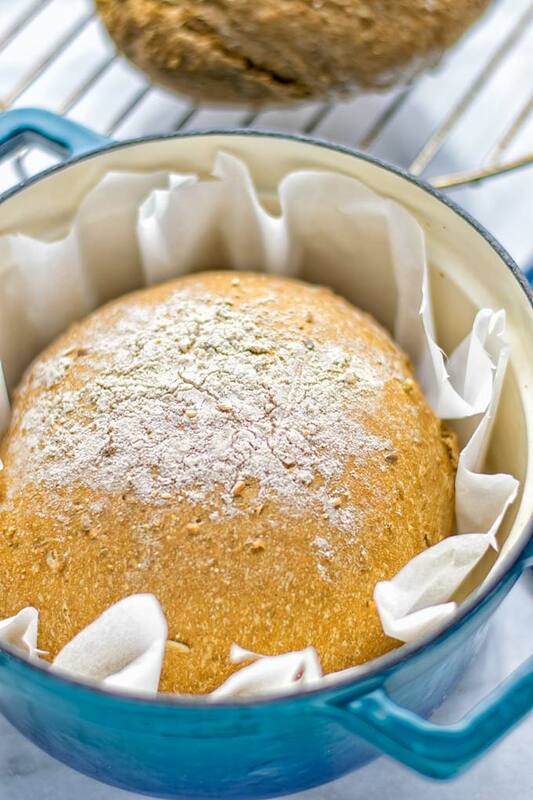 Making the dough for this no knead Artisan bread takes only 5 minutes. Just combine flour, dried yeast, water, olive oil, and salt in a bowl. Mix all the ingredients with a wooden spoon – no need to knead it, just mix. Now it’s time let the dough rest for at least 15 hours with a plastic wrap foil on top. So I recommend you make the dough the night before you want to bake it. It’s really important that you rest the dough, before baking the bread. Preheat the oven to 430°F with the Dutch oven inside to allow it to warm. I would say it should take about 15 minutes until it’s warm. Now use your oven gloves. Be careful, it’s hot! Use parchment paper or sprinkle a bit cornmeal on the bottom. Let’s get going by flouring your hands. Form the dough into a ball with your hands, then put it into the Dutch oven and sprinkle a tiny bit of flour on top. Cover with the lid and put it into the oven, bake for 20 minutes. After that, remove the lid and bake for 10 minutes more. Now it is time to remove the bread from the Dutch oven. Let cool completely before slicing. 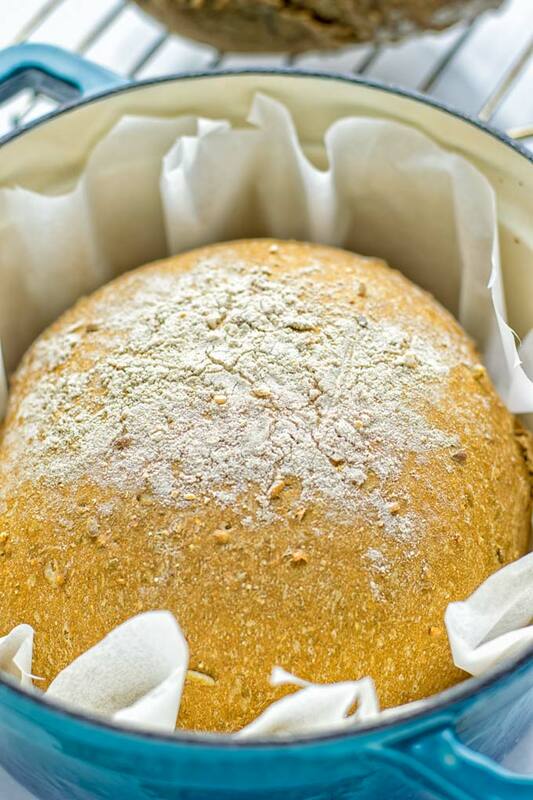 This Artisan Bread makes such an amazing and delicious homemade bread for breakfast, lunch, dinner, or some snacking in between. So whenever the question comes up what’s for dinner, you can happily show off with this. You can enjoy it with some dairy free or regular butter. I often simply put some chives on it, or sometimes I put my all time favorite the Olive Hummus [vegan, gf]. If you love olives as I do always, try it. 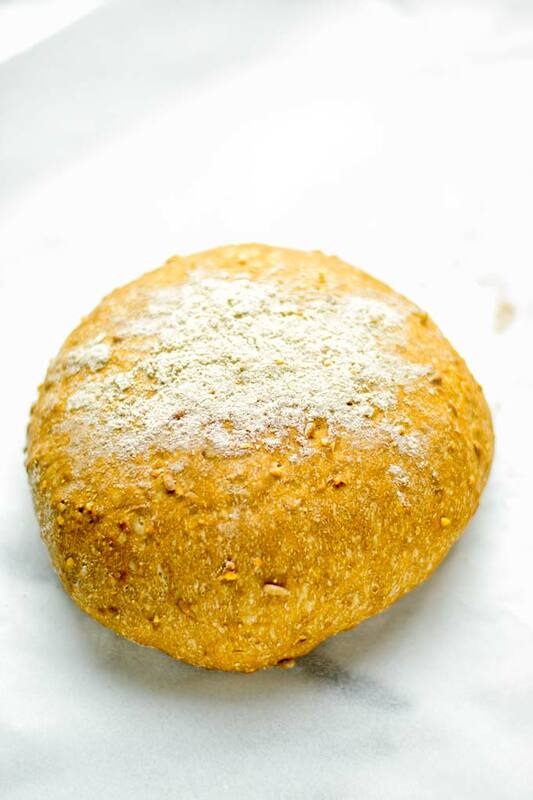 Try the Artisan Bread for yourself, bake and enjoy it. Share your baking adventure with me with a tag on Instagram or Facebook. Love seeing all your remakes with a pic, Florian. Can’t get any easier then this! Thanks for sharing! Super easy! 😀 Thanks, Karly! Hi Avril! It’s 1.5 quart! Hope that helps! Wow! This looks amazing! My Dutch oven is 5.5 quart which is roughly 3 to es the size. I am assuming that I would triple the recipe? How would this impact the cooking time? Or should I just use a bread pan? Hi Ginette. Good questions. I don’t have any experience with such a big Dutch oven. I think that you could indeed roughly triple the ingredients, and I would add at least 15 minutes to the cooking time. Then carefully check how it looks, and maybe add more time in 5 minute chunks. Hope this helps! I can’t find a 7 or 8 inch Dutch oven anywhere, but I want to bake this bread. What would you recommend me using? Hi Tina! I would try to use a bigger dutch oven! Make sure to adjust the ingredients and baking time! Good luck!